Are you stressed over a house lockout in White Rock, British Columbia? Don’t be. You can easily put an end to this dreadful situation by calling our company. We are at your service 24/7. And we will send you an expert pro within minutes. Not only do the pros respond urgently but the charge is also reasonable and the problem is solved in the right manner. Whether you want a pro to retrieve and replace a broken key or simply to unlock the door, you can depend on Locksmith White Rock. Most of the times, home lockouts happen when the key is accidentally locked inside the property. Worry not. A pro will be there for the house opening service in White Rock in minutes. Call us the minute you realize the door is shut but the key is not in your pocket. We dispatch responsive locksmiths that are also well-equipped. They carry all sorts of locksmith tools with which they pick the lock and open the door. Rest easy knowing that they are experts in all residential locks and thus have the skills to open locked house doors without a hassle. 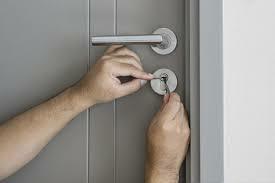 Oftentimes, a house lockout occurs when the lock or key is damaged. You simply put the key in the lock but it won’t get inserted all the way in. Or you try to turn the key and find resistance or the key turns but the door doesn’t open. If you are faced with such troubles and have no way of getting in your house, stop sweating and call us. At times, you might even be locked out should you reach inside your bag and discover that the key is missing. Or in times your bag or valuables are stolen. Please, remember that whenever you have no access to your own home, our company will be here for you. Call for a 24 hour house lockout service. It doesn’t make a difference to us what caused the lockout. What’s crucial is to see that your trouble is solved and gone in a timely and effective manner. So, we are here for you and ready to dispatch a reliable and experienced locksmith to provide house lockout White Rock service. 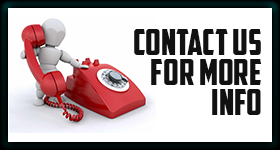 Keep our contact info and give us a call should you ever need our help.